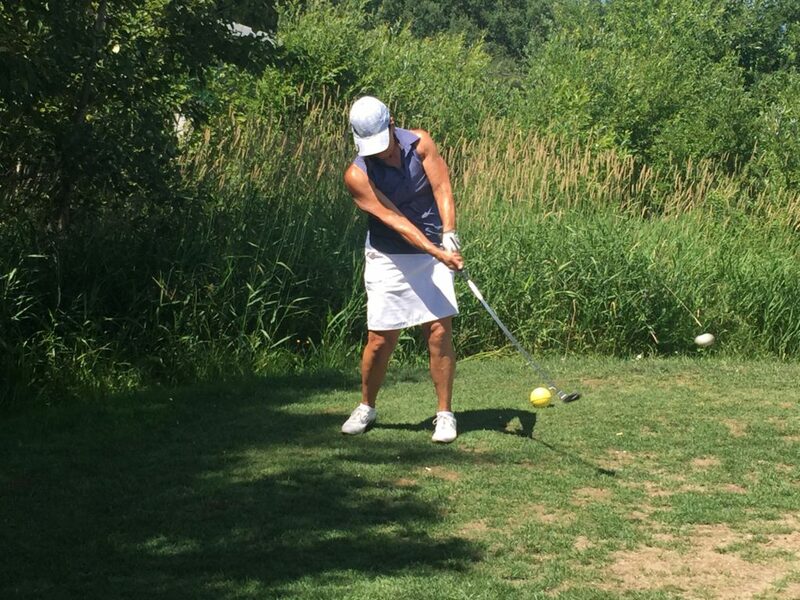 Beth Beattie off the tee on the 17th hole during Wednesday’s Ladies Day Scramble. Ladies Day is every Wednesday morning with a 9 AM Shotgun Start. Open to both the public and Members, please call the Pro-Shop at (705) 752-5225 or online to have your name added to the draw.